WASHINGTON, D.C. (October 9, 2018) – Horatio Alger Association of Distinguished Americans, Inc., a nonprofit educational organization honoring the achievements of outstanding individuals and encouraging youth to pursue their dreams through higher education, has selected former U.S. Marine Colonel Vance L. Cryer, Director of Operations and Experimentation at IOMAXIS, for membership in the well-respected organization. This special announcement was made on Saturday evening during a gala event and concert at the John F. Kennedy Center for the Performing Arts, which closed the Annual Membership and Board of Directors Meeting. This marks a significant moment for the Association, as never before has a former recipient of the Horatio Alger Scholarship been inducted as a lifetime Member. 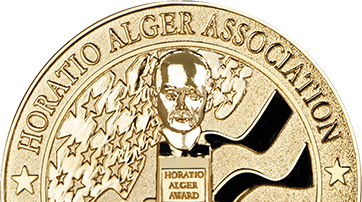 Since 1947, the Horatio Alger Award has been annually bestowed upon admired leaders who have succeeded despite facing adversities and are passionate about higher education and philanthropy. The Association’s Scholarship program was established in 1984 to extend the Association’s mission and impact. In its nearly 35 years, the Horatio Alger Association has provided more than $143 million to students in need, all of which has been funded solely through the generosity of Association Members and friends. Col. Cryer embodies the Association’s mission, reaffirming that through hard work, resilience and support from others, the American Dream can be achieved by all who seek it. He will be joined by 11 other esteemed business, civic and cultural leaders from across North America during the Association’s 72nd Annual Horatio Alger Awards Induction Ceremonies in Washington, D.C on April 2-4, 2019. The three-day event honors the achievements of both Members and National Scholars, affording both groups the opportunity to meet and interact, exchanging stories of hardships and triumphs. The full class of 2019 will be announced in December. Born in 1968 in Fort Worth, Texas, Col. Vance Cryer’s parents – neither of whom graduated from high school –divorced at a young age, creating an unstable home environment. Given these challenges, eventually Col. Cryer’s grandparents assumed primary care of him and his two older siblings, instilling in him the value of a dollar and the work ethic necessary to survive. He used football as his “suit of emotional armor” as a young man and his motivation to pursue college. While intending to join the U.S. Marine Corps immediately after high school graduation, he found himself working as an office aid for the dean of students during his senior year. She saw his potential and encouraged him to apply for the Horatio Alger Scholarship. Shortly before he was to sign papers to join the U.S. Marines, W.W. “Foots” Clements, Horatio Alger Member and former chairman and CEO of Dr. Pepper, visited Col. Cryer’s high school to present him with a Horatio Alger Scholarship. Col. Cryer went on to attend the University of Texas, Arlington, earning a bachelor’s degree in economics. After graduating in 1991, he began his military career, which would extend to 27 years of active service including multiple squadron tours as a Weapons and Tactics Instructor, serving as an exchange officer with the UK Royal Air Force, completing six combat tours in Iraq and nine deployments, six of which were with the Marine Expeditionary Units. In September 2013, he was promoted to Colonel and the following year was in command of the 15th Marine Expeditionary Unit at Camp Pendleton in California. In his most recent role, Col. Cryer served as the Chief of Staff and Executive Assistant for the Commanding General of Marine Corps Combat Development Command and the Executive Assistant to the Deputy Commandant for Combat Development and Integration. Earlier this year, Col. Cryer retired from the military and now serves as Director of Operations and Experimentation at IOMAXIS, a technology company that develops innovative solutions in communications, cloud computing, and cyber. He currently resides in Austin, Texas with his wife, Juli; together they have three children. Through its Members, Horatio Alger Association aims to educate young people about the limitless opportunities afforded to them by the free-enterprise system. To further this mission, the organization awards scholarships to outstanding high school students on an annual basis who are committed to pursuing higher education and giving back to their communities. Like Association Members, Horatio Alger Scholars have faced significant adversities, but have also displayed unmatched resilience in overcoming their challenges. For more information about Horatio Alger Association, please visit www.horatioalger.org and/or follow the organization on Facebook, Twitter and Instagram.